Catholic Care launched its Christmas Cracker Project in December 2018 as a way of supporting the most disadvantaged families across the Diocese who would have struggled with providing food for their families over the Christmas period. 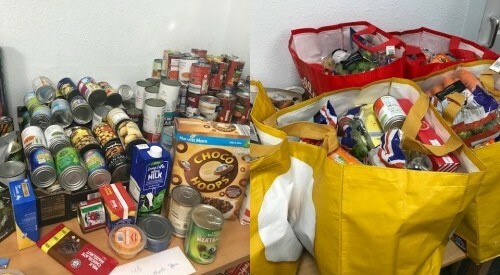 More than 2,300 families in the Leeds area alone will have relied on the city’s foodbanks to feed them at Christmas. These figures have come from the two main centres in the city which have both seen increases in the number of people relying on them throughout the year and also across the festive period. At Catholic Care our workers were extremely busy right up to Christmas Eve delivering 108 food hampers to families in need. 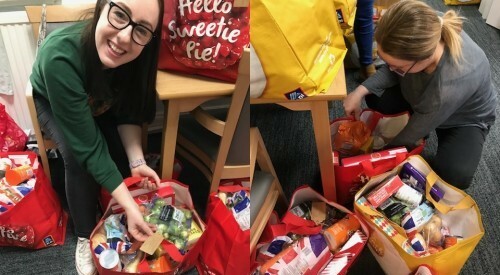 In addition, following the success of our Holiday Hunger Project in the summer, working with schools we identified the most disadvantaged families and delivered 40 “Christmas Cracker Hampers”. 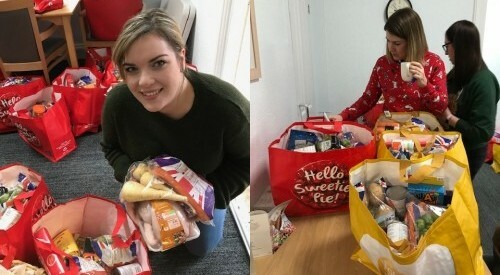 Each hamper contained a fresh chicken, a range of fresh vegetables as well as mince pies, chocolate treats and a box of Christmas crackers was also supplied to make Christmas dinner feel more special. We received some fantastic feedback from our families. ‘Thank you so much for this lovely hamper! It will make a big difference to our Christmas this year’ said one mum.